I am occasionally asked to speak to other business groups on a variety of topics. Its a great thing to do to spread the word about AIBA and I love connecting with other organizations. Recently I was asked to speak to two different groups on advocacy. 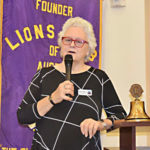 I spoke at the Greater Austin Restaurant Association and to the Austin Founder Lions Club last week. Interesting that they both picked the topic of advocacy. What I learned from these two groups is that businesses aren’t happy with our current city leaders and are interested in being more active. This is a good thing and I both encouraged them to become more active. After almost 15 years in City Hall advocacy for local business, I’m pleased to help lead the way for others. My talks are candid and direct and I hope lead to a greater level of activism. Speaking of activism, the Austin Founder Lions Club is hosting the Ninth Annual Sporting Clay shoot-Out that benefits the Austin Chapter of the Juvenile Diabetes Research Foundation and are looking for teams to participate. If you’re interested in a shooting competition with NFL legends, this is for you. Fore more information and to register or sponsor, see the form online. We’re getting settled in our new member management system, Wild Apricot, and learning it’s wonderful and wacky ways. You may have noticed that we’ve gone to email invoices. Our new system allows you to login and renew your membership and update your information. It’s so easy! New members are given a password when they join but renewing members need to choose “Forgot Password” and set a password to login. We know this is a change and we all get so many email but be sure to watch your inbox for items from AIBA. Thanks! The City of Austin’s Development Services Department’s Commercial, Residential and Expedited Building Plan Review teams are now accepting electronic plan submissions through ePlan Review, an electronic plan and document management system. This tool provides a convenient central hub for development project groups (including applicants and City reviewers) to communicate and complete the entire plan review process online, from the initial application stage to final approved plan sets. Reducing travel time to DSD’s offices at One Texas Center on Barton Springs Road. Reducing paper, printing, fuel, storage and disposal costs. Paper applications may also be delivered to intake staff on the 2nd Floor of One Texas Center, 505 Barton Springs Road. Once a completed application and payment fees are received, the applicant will receive an email from DSD to upload the required drawings and documentation. The drawings and documentation will then be distributed to the appropriate plan review staff for review. Please note ePlan is mandatory for all Expedited Commercial permit applications. Visit the ePlan webpage for more information. In an effort to keep you informed, we wanted to let you know of a new solar leasing pilot, as well as to warn you of scammers posing as City of Austin Utilities representatives. Austin Energy now has a pilot program offering Performance Based Incentives (PBIs) for commercial customers who want to use an operational lease to go solar. Operational leases can help make going solar even more attractive. With little to no up-front capital cost, companies will not have to use their working capital toward a solar investment. The lessor monetizes federal tax credits and depreciation on behalf of customers, so you can leverage the federal tax credit without tax liability. The solar assets are off the balance sheet with an operational lease. Lease payments are considered an operating expense that reduces taxable profit. Find out more about Austin Energy’s Solar PBI by visiting the website today. Please be aware that scammers are targeting businesses in the Austin area with fraudulent emails, phone calls and even text messages. 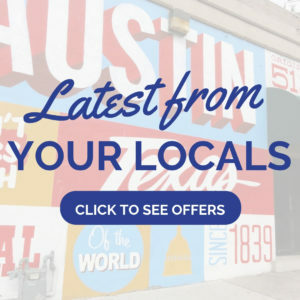 They pose as representatives of City of Austin Utilities and tell customers that service will be disconnected unless immediate payment is made. If a customer receives a phone call or email threatening to interrupt service, demanding immediate payment or requesting credit card or bank information, they should dial 3-1-1 and report the incident immediately. If any customer is uncertain of their account status, they should call 512-494-9400 or visit our Online Customer Care Portal. For questions, please contact Murray Jones at Murray.Jones@austinenergy.com or 512-972-7636 if your facility is north or Neil Leach at Neil.Leach@austinenergy.com or 512-972-7885 if your facility is south. We value your business and appreciate the opportunity to serve you. Thank you very much for your time. We value your business and appreciate the opportunity to serve you. We are excited to announce the 6th Annual Armadillo Awards on April 25! We hope you will join us at the Armadillo Awards Party but first take a moment to nominate your favorite local businesses in seven categories. Nominate local businesses in one or all seven categories now through February 28. Voting is March 18-April 5 when you’ll vote for your favorite local businesses from all the nominations—we usually see more than 1,000 nominations! Each year we receive more than 30,000 votes so make sure yours are counted!Five finalists in each category will be honored at the Armadillo Awards Party on April 25. Attend the Armadillo Awards Party on April 25. It’s the Indie Biz party of the year held at the Historic Scottish Rite Theater. Be there! RSVP Now.